About two months ago, President Trump announced his pick to replace Justice Anthony Kennedy in the Supreme Court after Kennedy announced his retirement from the court a few weeks prior. Trump chose Brett Cavanaugh of the U.S. Court of Appeals for the District of Columbia and as you can imagine, the left lost their collective minds. 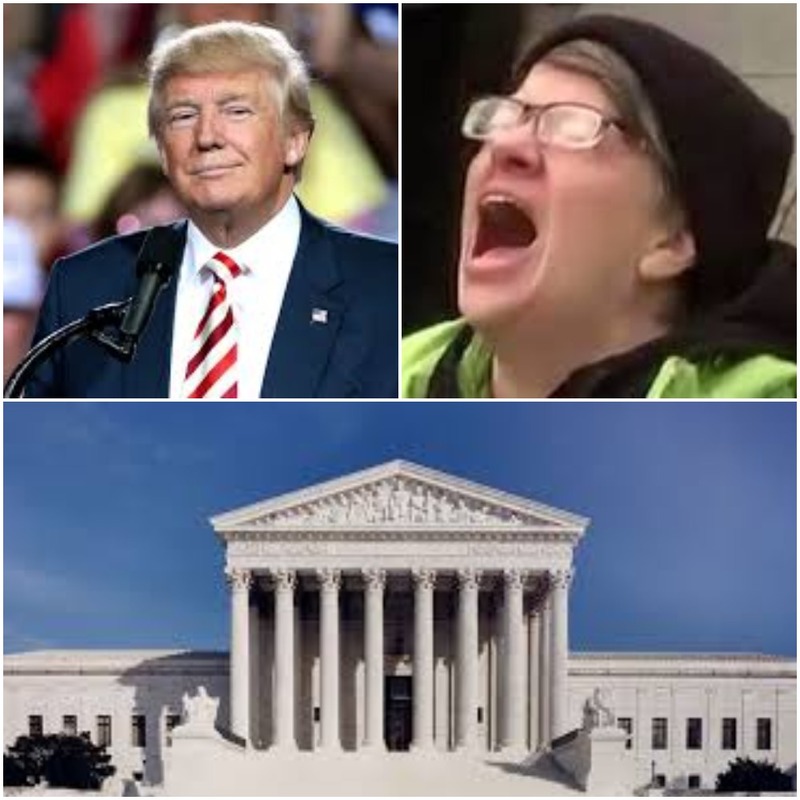 Before the president even announced who his pick would be and in fact, even as soon as Justice Kennedy announced his retirement, people on the left already knew for a fact that this was going to be the end of the world. Like, the ACTUAL end of the world because remember, we were all also supposed to die from Trump being elected in the first place, when he was sworn in, we were supposed to die from net neutrality, we were supposed to die from tax reform, we were also supposed to die from North Korea nuking us, as well as many other things that were supposed to kill all of us but amazingly, we’re all still here after all of these trials. Many Democratic senators also came out and opposed Trump’s appointee before he even announced who it would be, which brings up another point I would like to make. Booker put on one heck of a show this past week, and let me tell you, it was amazing. You’re going to think I’m making this up because it’s so ridiculous, but this really happened and he actually referred to himself as Spartacus at one point. Watch here. All of this goes to say that all of this is such a big deal because once the Senate approves Brett Kavanaugh, there will be a right-leaning majority in the court, which is also due to the fact that earlier in his presidency, Trump had his first Supreme Court justice pick in Neil Gorsuch, and he will likely get another pick when Ruth Bader Ginsburg either retires or dies, as either one of those looks to be coming very soon. But how do I know that the Senate will confirm Kavanaugh? Thanks to former Senate Majority Leader Harry Reid in 2013, the “nuclear option” came into play, which means that all executive and federal judicial nominees by the president no longer require 60 votes in the Senate to be approved, they only need a simple majority of 51 votes. So now thanks to Reid’s actions, Republicans should be able to breeze through this nomination with no problem regardless of how much Democrats try to block and obstruct the nomination. Democrats began pushing for the nuclear option after Republicans “unreasonably partisan obstructed” (in the words of The Washington Post) President Obama’s three picks for court justices. So now, the rule that the Democrats made back in 2013 to avoid the Republicans blocking the presidents nominates has come back to bite them because Republicans only need 51 votes to confirm Kavanaugh, and that’s exactly how many Republicans are in the Senate and let’s be real, no Republican is going to oppose Trump’s pick. There might even be a few Democrats would are up for reelection in a few months who would vote to confirm Kavanaugh for fear of losing their seat if they vote to oppose. After the Democrats passed this new rule of the nuclear option, then-Senate Minority Leader Mitch McConnell said on the Senate floor, “You’ll regret this, and you may regret this a lot sooner than you think.” Oh, how beautifully all of this has aged. Democrats have been saying that they are going to fight Trump’s pick in Kavanaugh, with Senate Minority Leader Chuck Schumer saying, “I will oppose this nominee with everything that I’ve got.” Well, I have some back news for you, Chuck. There’s nothing you can do, thanks to Harry Reid’s stupidity back in 2013. As long as all Republicans vote to confirm Brett Kavanaugh, there’s nothing that the Democrats can do to oppose this pick. If you want people to read your blog and possibly change opinions you cannot degrade those with different opinions. Place objective facts in your blog with credible, peer reviewed sources( not funny pictures you saw on Twitter) . I have in the bio of this blog that this is an opinion blog, not an objective blog that reports all sides fairly. I’m not going to report form the left because I’m on the right and believe that the left is wrong. I feel best about my writing when it is strictly opinion. Thanks for your feedback, though!